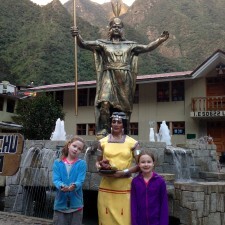 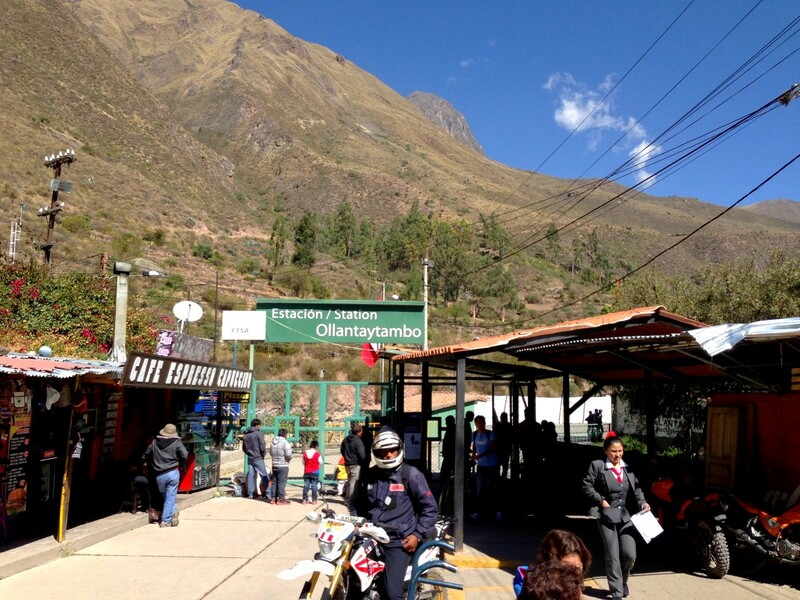 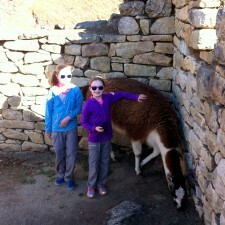 We were picked up early to catch the first train to Aguas Calientes from Ollantaytambo. 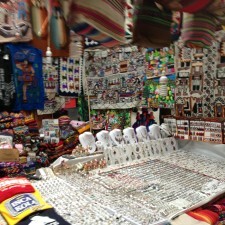 The atmosphere outside of the train station was busy with vendors lining the streets selling t-shirts, hats, blankets, toys, and food. 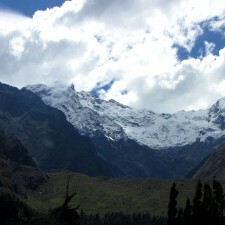 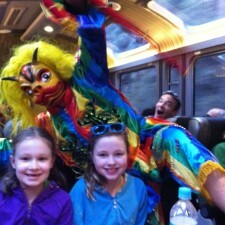 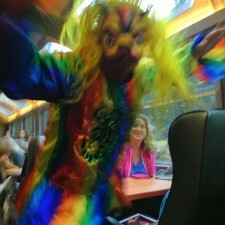 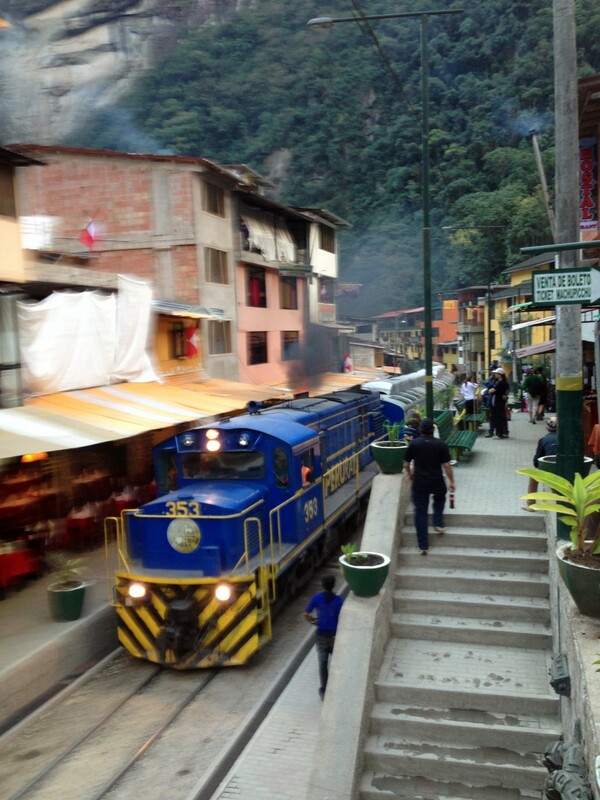 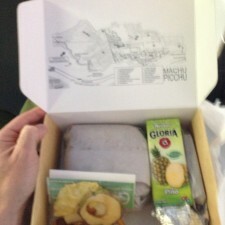 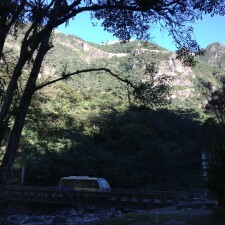 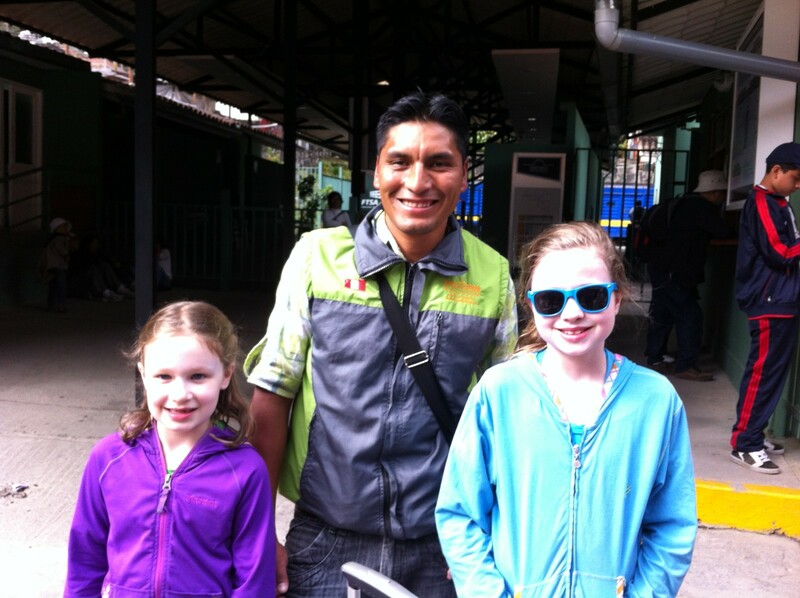 The blue PeruRail trains are the only ones that go to Aguas Calientes. 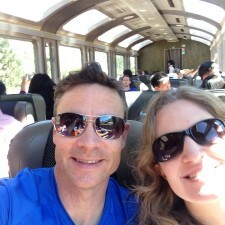 There are a few classes of trains: the Explorer, Vistadome, and lastly, the Hiram Bingham which is reminiscent of luxury train travel of the past with upholstered fabric seating and small intimate tables with white table cloths. 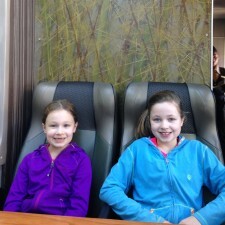 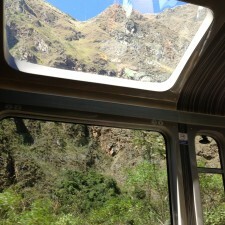 We opted for the Vistadome train with big side and over head windows to enjoy the ever-changing landscape. 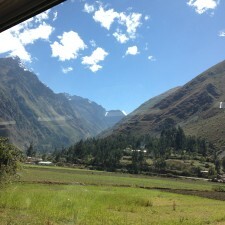 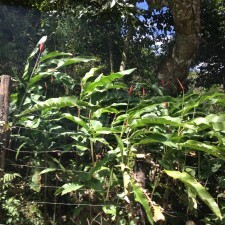 As we rolled from Ollantaytambo to Aguas Calientes, the surroundings gradually changed from high desert plateau and river valley to lusher large-leafed plants. 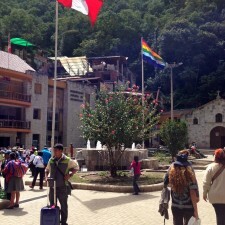 We arrived almost two hours later into Aguas Calientes. 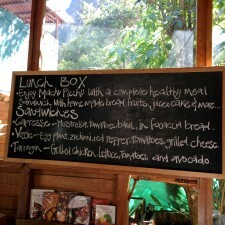 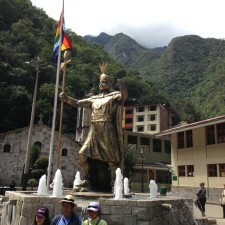 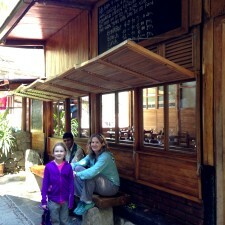 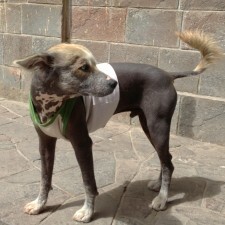 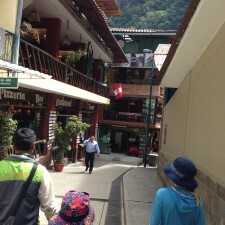 There is a market place that is strategically placed just outside the train station in Aguas Calientes. 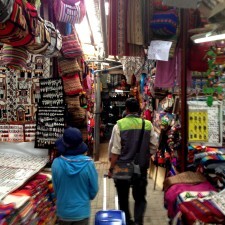 You have no choice but to snake your way through narrow alleys of booths filled with merchandise. 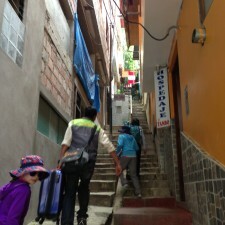 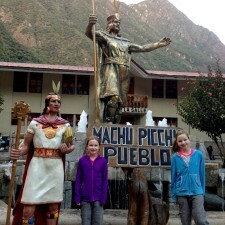 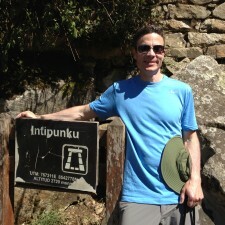 The town is very small – about a city block in size, but very friendly and festive with restaurants, bars, and small hotels welcoming weary hikers and their backpacks fresh off the Inca Trail as well as those of us off the train. 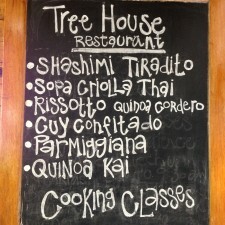 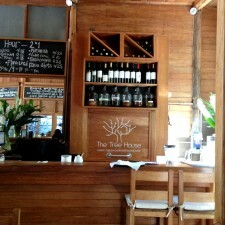 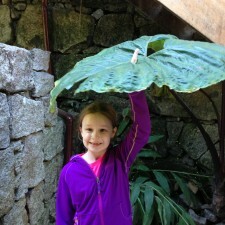 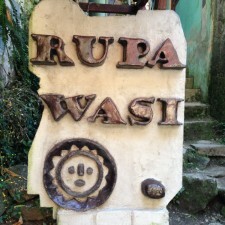 We stayed at an “eco-lodge” called Rupa Wusi that had good reviews and because of its restaurant…which was probably better than the room. 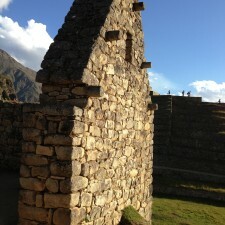 The actual room suffered from thin walls – neighbors up early (5AM) to hike up, damp-feeling sheets, and the bathroom had some creative carpentry work. 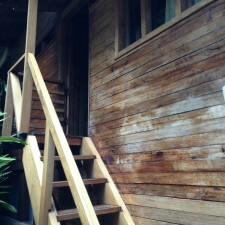 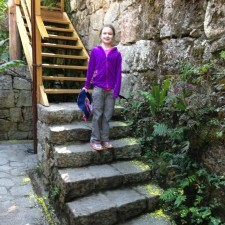 The hotel was up a narrow alley of steps. 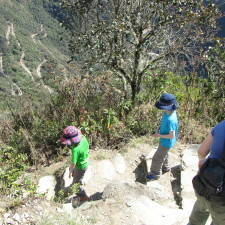 After dropping our bags and buying some of the restaurant’s box lunches, we hopped a bus up the zigzag switchbacks to Machu Picchu. 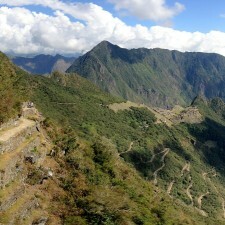 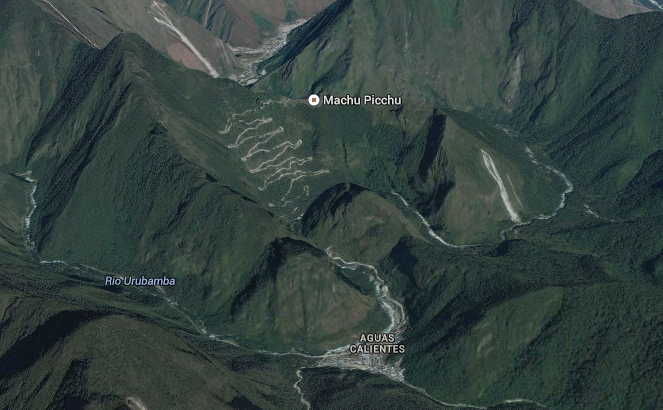 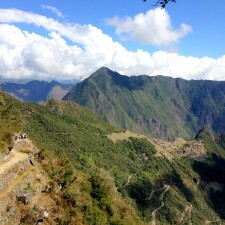 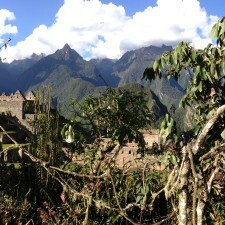 This view is similar to the second Google Earth view from Machu Picchu to Aguas Calientes. 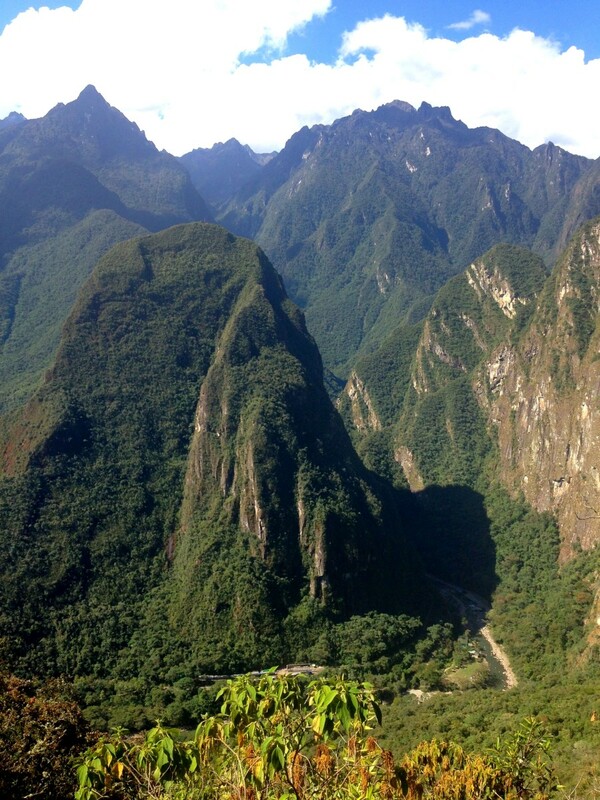 The large mountain between them is called Phutuq K’us and is one of the three sacred mountains along with Machu Picchu (the peak above Machu Picchu between it and Sun Gate, and Huayna Picchu, the peak directly behind Machu Picchu that is typically shown in all the photos). 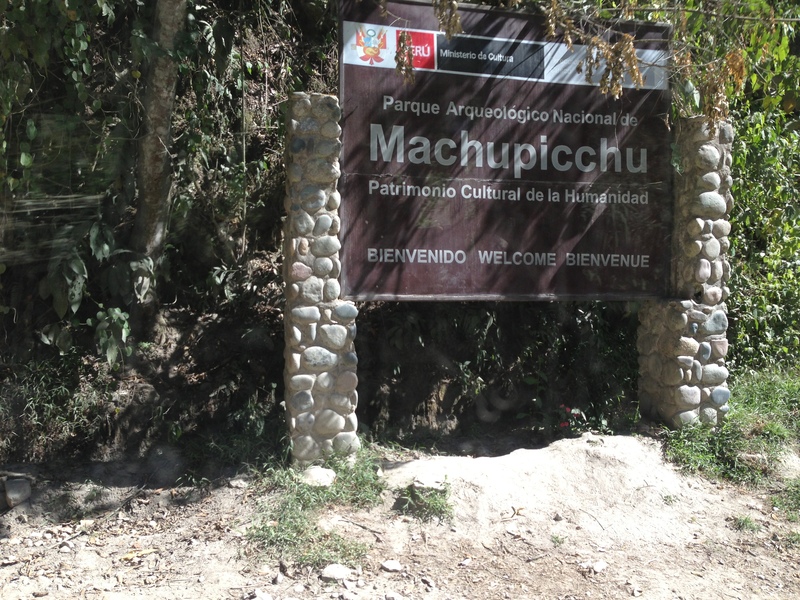 While Bingham “rediscovered” Machu Picchu in the early 1900s, it did not become a popular tourist destination until around 2000 (!) 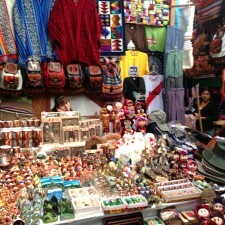 after Peru cracked down on organized crime in the country. 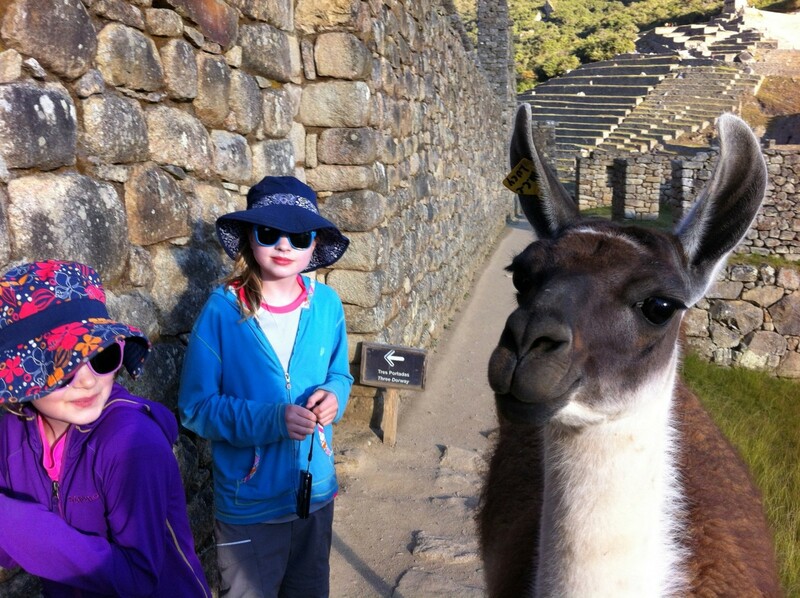 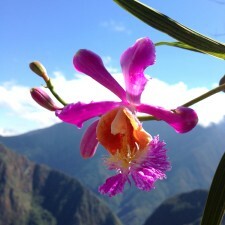 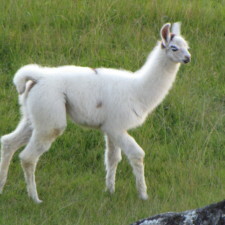 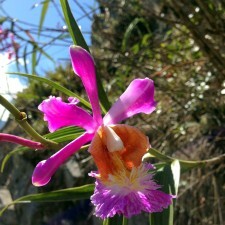 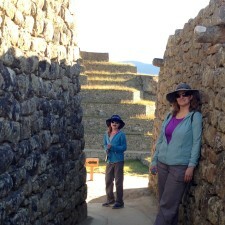 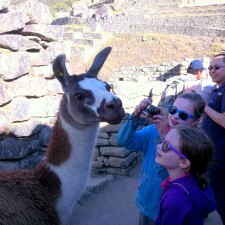 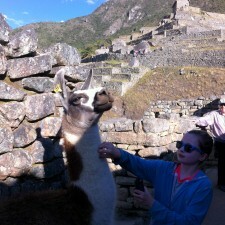 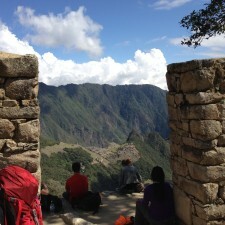 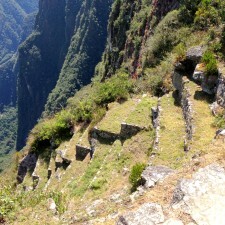 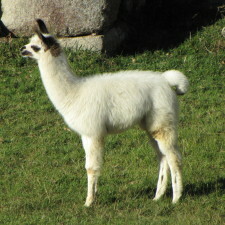 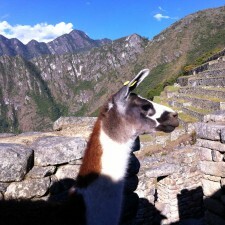 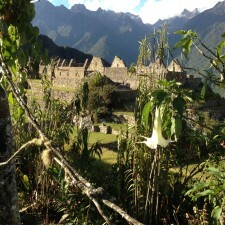 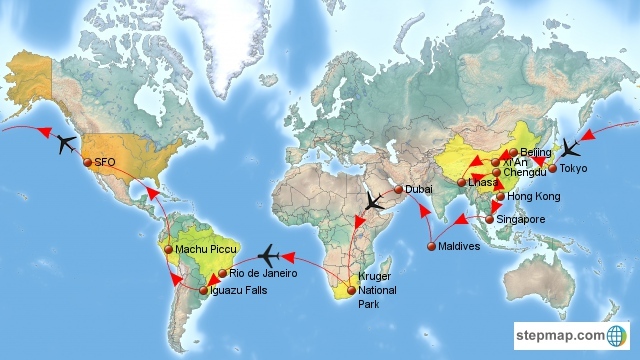 Prior to that, Peru’s tourism industry was almost non-existent. 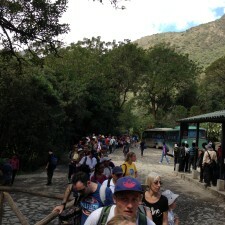 We were fortunate to arrive at the end of the day when most of the other 3000 tourists had already left for the day. 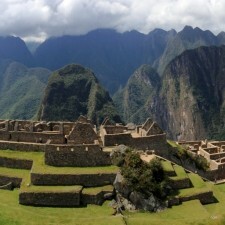 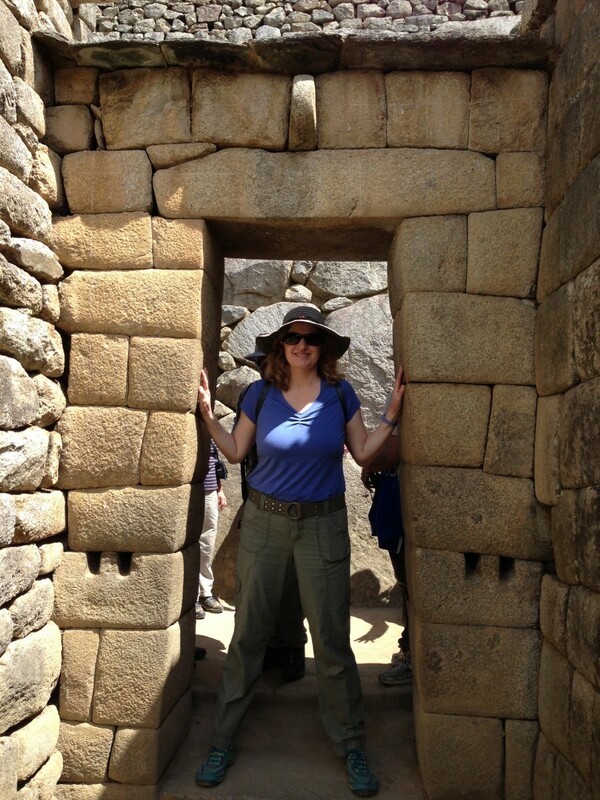 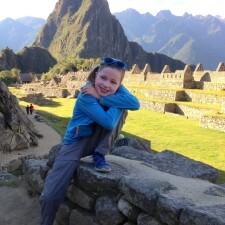 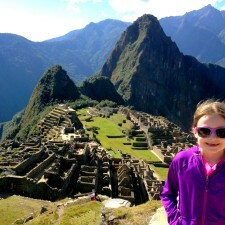 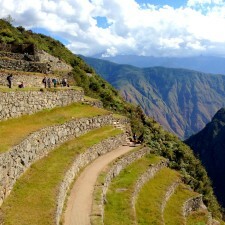 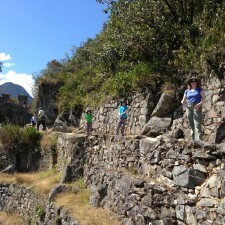 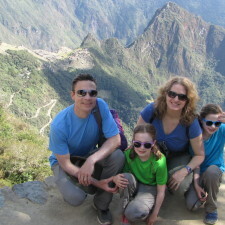 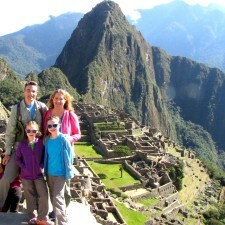 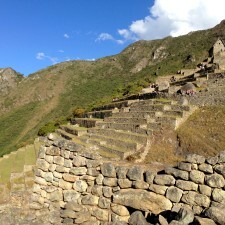 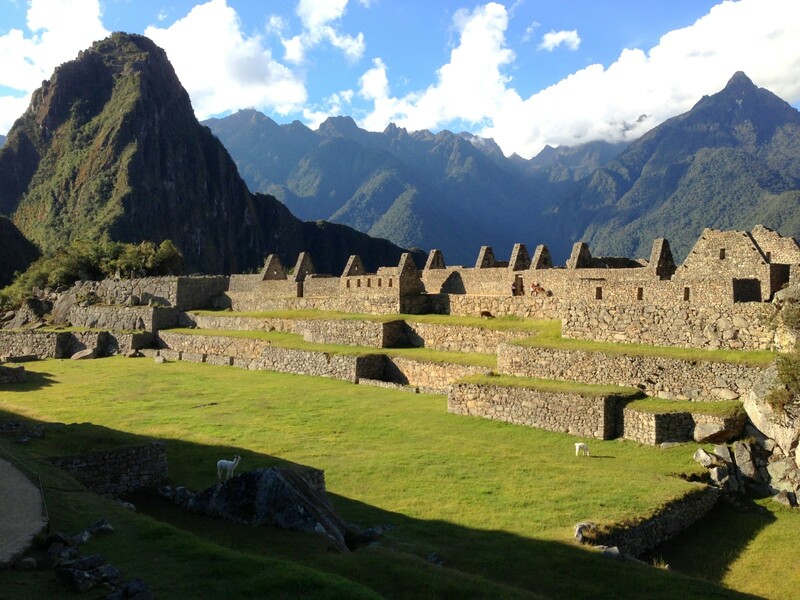 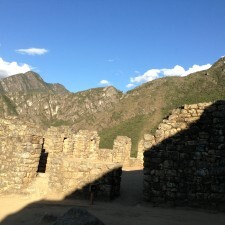 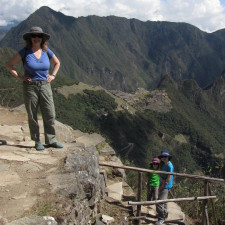 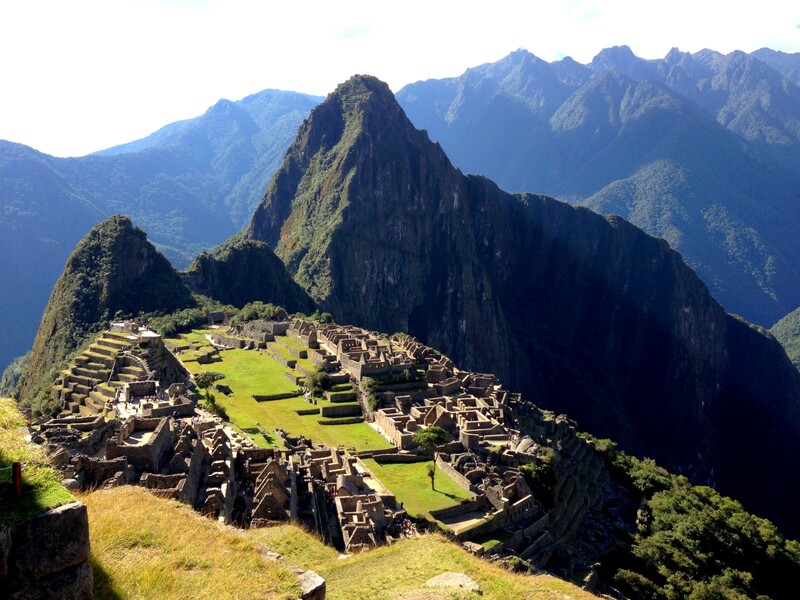 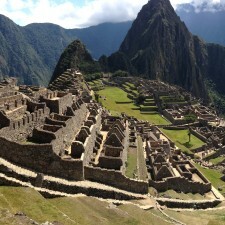 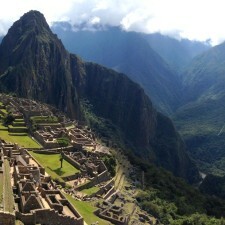 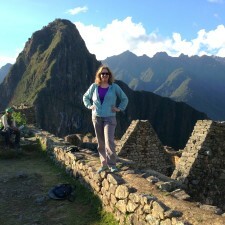 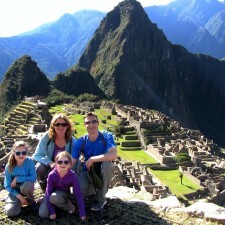 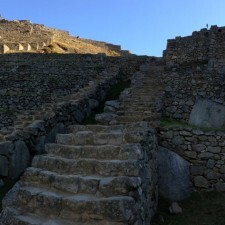 Machu Picchu is an amazing marvel of modern engineering with its stone structures and terraces! 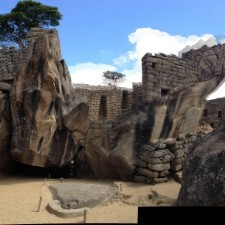 Now rewind 500 years and build a massive city of stone on top of a 2000 foot mountain with no automated equipment! 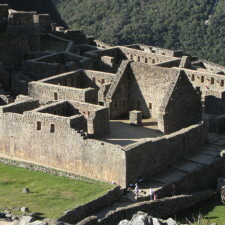 The structures of Machu Picchu were all built with carefully shaped stones, wooden beams for roof supports and thatch roofs. 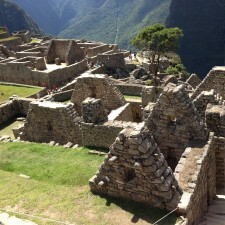 As you can see, all the stone stood the test of time. 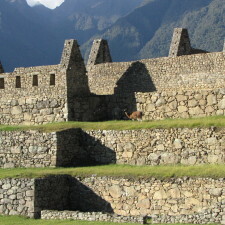 Any of the wood or thatch has since disintegrated such as the the roofs, however, note that the door lintels were made using a large stone. 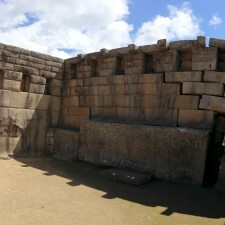 Temple of the Sun: During the summer solstice (December 21st in the southern hemisphere, the sun would pass through the sun gate and into the window of the Temple of the Sun beaming onto a large boulder on the floor. 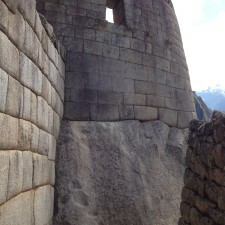 During the winter solstice, the sun would shine through another window, almost perpendicular to the summer window, onto the boulder. 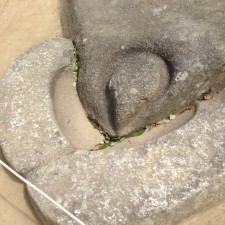 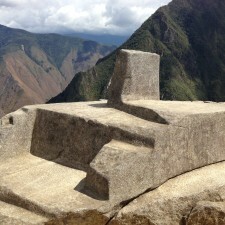 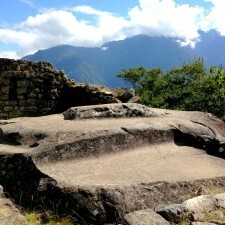 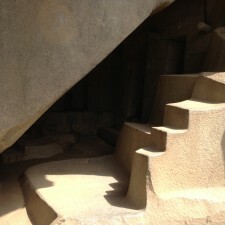 Sacrificial Tables: Note the Temple of the Condor which was created by the Incas from an existing rock formation and turned into the shape of a condor with a sculpted condor head on the ground. 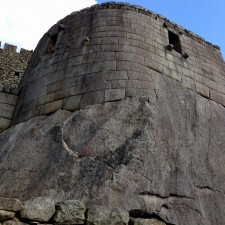 It’s believed that there was a jail behind and under this structure and the condor rock on the ground is where prisoners were sacrificed. 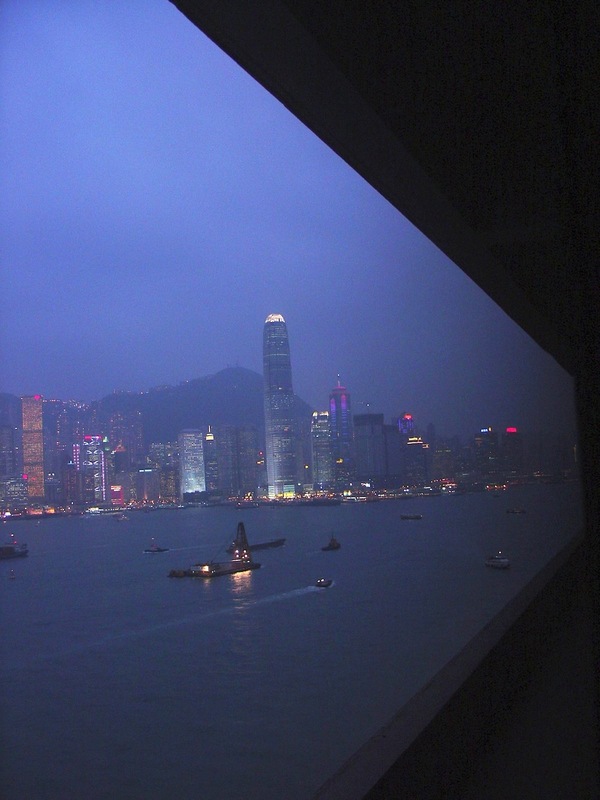 Scientific rooms: It was forbidden to look up at the sky and considered disrespectful to the gods. 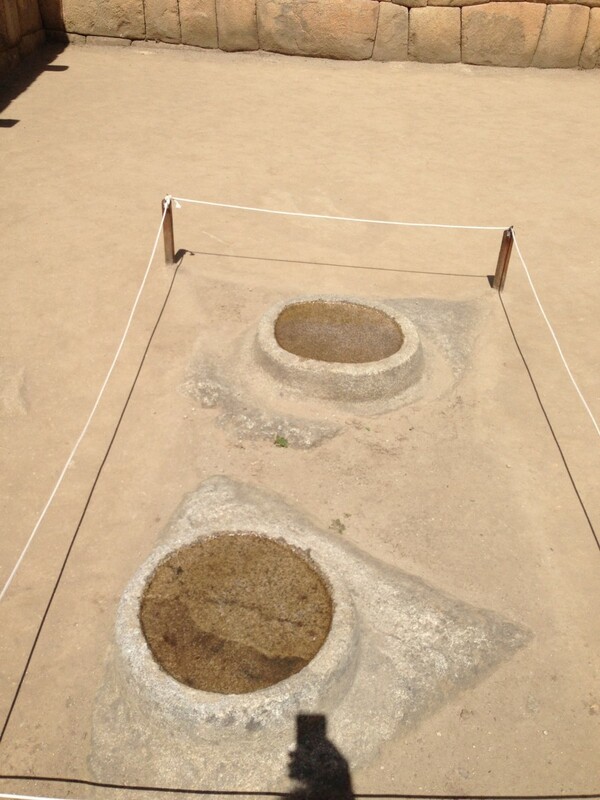 So, the clerics of the time used these reflecting pools to observe the night sky. 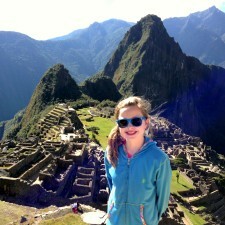 We used an iPhone :-).